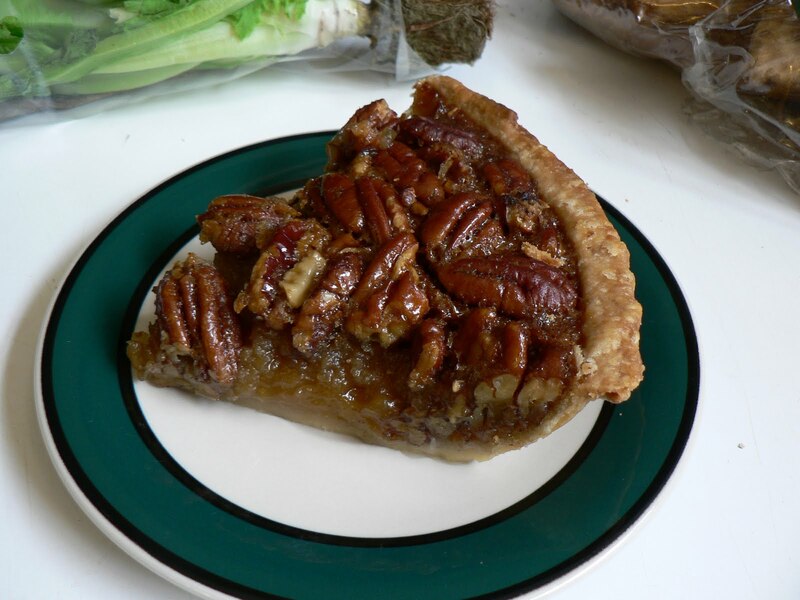 Pecan pie was a favorite dessert and holiday treat for those lucky enough to have pecan trees growing on their land. Using a few basic ingredients, those living during the Great Depression could bake this delicious pie. If you don't want to make the crust yourself, you can always buy a pre-made pie crust at the supermarket and follow the recipe for the filling below. In medium bowl, mix flour and salt. Cut in shortening, using pastry blender (or pulling 2 table knives through ingredients in opposite directions), until particles are size of small peas. Sprinkle with cold water, 1 tablespoon at a time, tossing with fork until all flour is moistened and pastry almost leaves side of bowl (1 to 2 teaspoons more water can be added if necessary). Heat oven to 375°F. With floured rolling pin, roll pastry into round 2 inches larger than upside-down 9-inch glass pie plate. Fold pastry into fourths; place in pie plate. Unfold and ease into plate, pressing firmly against bottom and side. Trim overhanging edge of pastry 1 inch from rim of pie plate. Fold and roll pastry under, even with plate; press with times of fork or flute if desired. In another medium bowl, beat all filling ingredients except pecans with wire whisk or hand beater until well blended. Stir in pecans. Pour into pastry-lined pie plate. Cover edge of pastry with 2- to 3-inch-wide strip of foil to prevent excessive browning. Bake 40 to 50 minutes or until center is set, removing foil for last 15 minutes of baking. Refrigerate at least 2 hours until chilled before serving. Store in refrigerator. This recipe yielded a very yummy pie! I am so happy to find this blog. I am trying to find recipes that don't use a bunch of things that are expensive today, just like in the Great Depression. :) Thanks a bunch for the sight!